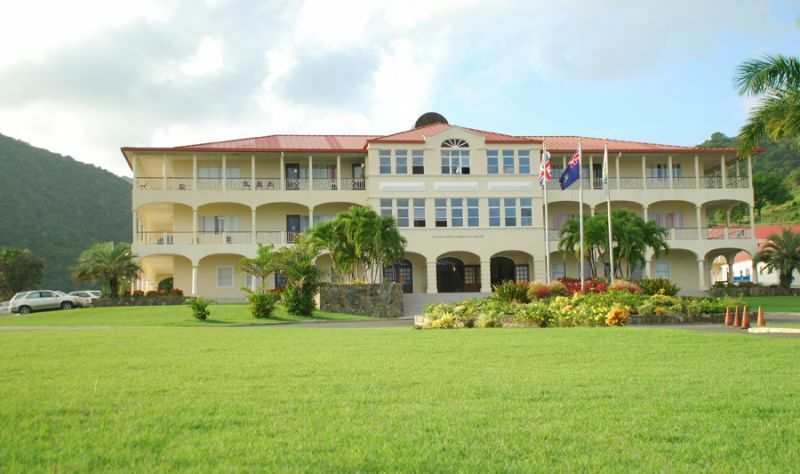 As the HLSCC prepares to foster deeper relationships with the University of the Virgin Islands (UVI) based in neighbouring United States Virgin Islands (USVI), Ms Parsons’ concern stem from the fact that some local students are even leaving the institution en route to the UVI for studies. “We are very close and we are supposed to be family when tutoring and all that… We have students leaving school, I am just putting it to you, we try to encourage them to make HLSCC their first place of higher education,” Mr Parsons told UVI representatives during the signing of a Memorandum of Understanding (MoU) on Monday, April 8, 2019. The Deputy Chair also indicated that student population matters greatly for the HLSCC, while noting that the Board is making continuous efforts to have persons make the local college their first choice. 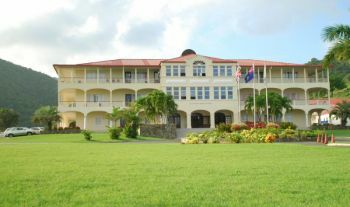 Ms Parsons, in positing a scenario to the UVI team and its Vice President of Innovation and Development, Dr Haldane Davies, asked the officials what would they do to ensure that local students stay in the VI (Virgin Islands) rather than go to St Thomas to learn a course being offered locally. 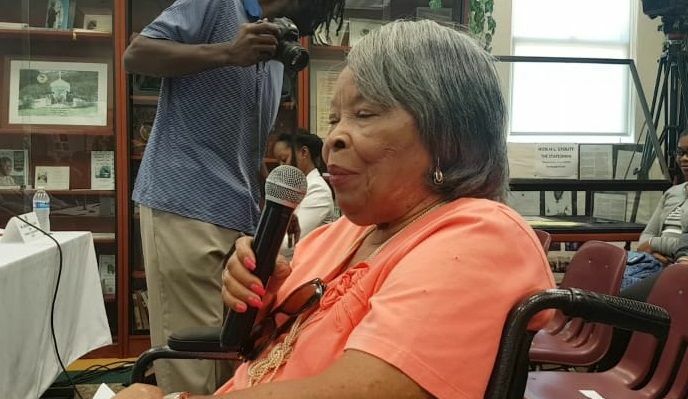 He said, however, that the decision on where to study is a personal one and if a Virgin Islander is deciding to go to the UVI they would consider that student. “I don’t think we would say no to that person but we would certainly do our best to ensure that the local resources are [available] first,” he said. “Ms Parsons, in positing a scenario to the UVI team and its Vice President of Innovation and Development, Dr Haldane Davies, asked the officials what would they do to ensure that local students stay in the VI (Virgin Islands) rather than go to St Thomas to learn a course being offered locally.”Interesting approach. Dr. Davies, though a son of the soil, works for UVI so hopefully his loyalty is to UVI as the HLSCC board is to HLSCC. Nonetheless, every problem has a cause(s) and a solution(s). Before any problem can be solved the root cause must be identified. Local students have a personal choice in where they attend college. HLSCC must find out why locals are opting for UVI over HLSCC and take action(s) to attract them to staying home. There is something beyond fees (is HLSCC still relatively inexpensive for locals?) that may be drawing local students to UVI vice HLSCC. HLSCC must unearth why. It has to step up its game and compete for the students. If the hemorrhaging continues it may spell problem for HLSCC; enrollment is the life blood of any educational institution. Mine will choose Cambridge,Harvard Yale,Howard and others of like quality as first choice. Encourage the children to reach for the stars. To do otherwise is a disservice. Why waist time here, H.L. Stout build it back in almost 20 plus years and it's still an associate degree collage where is the vision, here talkng fart!. The truth is: HLSCC Hasn't really advanced in 20 plus years. The board talking about students choosing to be educated when they themselves not giving locals the opportunity to serve as lecturers. Hiring based off of emotions. The college has more administrative staff than lecturers. The board sit and make decisions that don't even encompass the financial situation. Ask yourselves what can the board do to raise money for the college instead of sitting and talking waiting on thegovernment. This is the same board who had our now minister of education to kill and fire when he was a lecturer. The board need changing PERIOD. Beating a dead horse. Only college I know off that has a president with NO PHD. Hit the nail on the Head...I was thinking the same Thing! What board? You talking about the members who were hand picked by the former minister of education. Enough is enough. Time to move forward.